As a lawyer, I've had to learn that people aren't just good or just bad. People are many things. The opening title sequence of this 1959 crime drama is a classic piece of graphic design – giving the movie a strong, timeless indentity that still inspires filmmakers to this day, says Designer Julien Vallée. Back at the beginning of silent film, movie titles were only of interest to producers because of the legal and copyright information they contained about the film being shown. They eventually came to be used to present cast and crew member information as well. And it was the role of a lettering artist to design these slates. Thanks to pioneers like Pablo Ferro, Maurice Binder or Saul Bass, these static informative slates were eventually transformed, giving birth to the discipline of film title sequence in the early 50s. The marriage of graphic design and moving images created this new way of introducing movies, which not only informed the audience of its crew, but also played a primordial role in giving each movie its own unique identity. 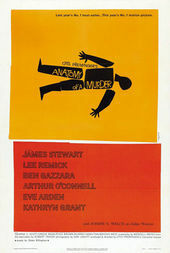 In the 1959 movie Anatomy of a Murder, Saul Bass literalised the film title by presenting each member of the crew next to disassembled body parts. He first starts by showing the entire body presenting the director Otto Preminger. Then each piece of the body is disassembled and presented like it is part of a puzzle. Using simple elements like cutouts of paper on a uniform grey background, this intro sequence has traversed decades by keeping its cutting-edge quality. No high technology was needed – only a playground in which a graphic designer could think of a simple idea to introduce the film. Today, the Anatomy of a Murder sequence still inspires as one of the greatest opening titles of our time, its influence evident in movies like Catch Me If You Can, Monsters, Inc. and even Thank You For Smoking, which introduces you to the subject of the movie right before it starts. 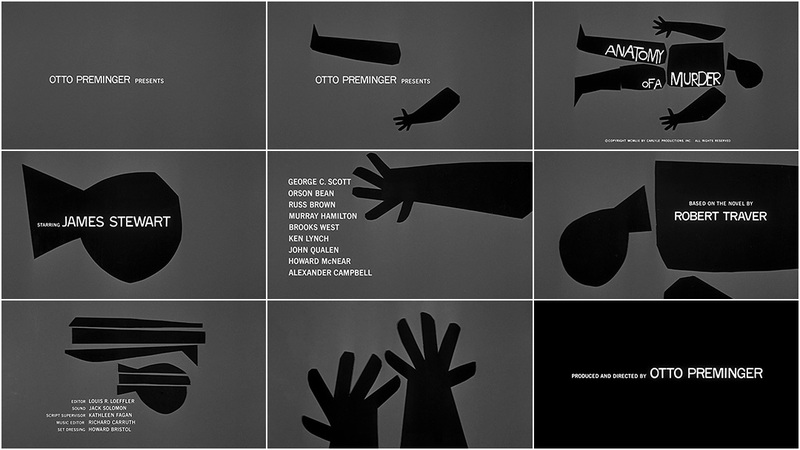 These title sequences all have one of the key qualities Bass introduced in his Anatomy of a Murder sequence: they give a strong, distinct identity to the movie. ©2012 Future Publishing Limited. Used with permission.